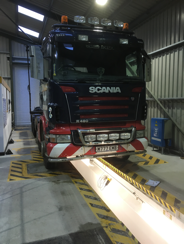 At Bowmans Test Centre, as well as maintaining our own fleet of trucks and vans to a very high standard we can undertake third party repairs, servicing and safety inspections. Our technicians are highly skilled and experienced. In 2015 we achieved a 100% pass rate on all trucks and trailers presented for MOT.